Procurement, as a function, is an inevitable aspect of all business organizations. In order to operate and aid expansion and optimization of performance, businesses have to procure various goods and services from external suppliers. Furthermore, if organizations aim to harness the power of globalization, they need to work with the best local suppliers in every region at the best possible price to satisfy their requirements of external goods and services. This renders the procurement function crucial for business functioning and with an effective procurement process, an organization achieves its tactical as well as strategic goals. A procurement process can be defined as a series of steps that an organization identifies and follows in order to obtain goods or services for their goals and objectives. Procurement Process- Why is it necessary? Procurement accounts for spending an organization’s revenue on acquiring goods and services. It has a direct impact on cost savings objective. In fact, Zycus’ annual survey of 400+ global procurement leaders, Pulse of Procurement 2018, revealed that 54% of the surveyed professionals recognized cost savings as procurement’s key focus area. Furthermore, 65% of large organizations, 66% of mid-sized organizations, and 55% of small organizations were mandated to manage spending from an enterprise level and for that, an effective procurement system was the only solution to reap higher profits. Apart from achieving cost savings objectives, an effective procurement process helps an organization achieve other key focus areas like enhancing supplier performance, compliance, risk management, contract utilization, and sourcing cycle time. By periodically assessing supplier performance with regards to fulfilling an organization’s sourcing requirements, a procurement process helps identify the strengths and weaknesses of the suppliers onboard and further ideates and innovates strategies for performance improvement. An effective procurement process also enables organizations to build long-term relationships with their suppliers. Hence, by focusing on supplier relationship management, the synergies created between the two parties result high propositions that provide maximum value for both the supplier and the buyer. Additionally, a well-implemented procurement process enables an organization to have higher visibility into how every stakeholder involved in procurement is performing their activities. Greater transparency, thus, enables organizations to enforce higher compliance preventing any leakages in terms of costs, quality of goods/services, etc. Given today’s scenario of global political and economic instability, changing trade laws, etc., enforcing a well-defined procurement system can help organizations manage their supply chain and associated risks. By managing risks such as financial risk, operational risk, contract risks, etc., a procurement process helps prevent supply chain disruptions detrimental to an organization’s profitability in the long-term. An effective procurement process ensures higher process efficiency at every stage of a procurement cycle in an organization which in turn shortens sourcing cycle times. Procurement is more than just purchasing goods and services for an organization. An effective procurement process involves in-depth understanding of requirements by all business units, identifying the right supplier for meeting those requirements, periodically evaluating supplier performance, and negotiating contracts that can provide the highest value at minimum cost. After establishing the importance of having a procurement process, the next step is to design a procurement process that will help manage existing procurement cycles within an organization. The procurement cycle starts when any of the business units in an organization has a requirement of obtaining goods/services from an external supplier. Hence, the first step of the procurement process entails identifying and consolidating the requirements of all business units in an organization. This provides visibility into the spend areas and categories to identify areas for cost savings through spend analysis. Once the requirements of the various business units in an organization are identified, the next step is to identify a list of potential vendors that supply the requested goods/services. This process can be done either through simple web search or through more structured measures like RFPs, RFQs and RFIs. The objective of this process is to evaluate all relevant suppliers not only on the basis of the pricing but also quality of service, industrial reputation and recognitions, warranty and guarantee provisions, and customer service. After the assessment is complete, the supplier that offers maximum value and the best market pricing earns the deal. After a supplier is selected to fulfill the requirements of an organization, the contract process begins. Contracting is a crucial step for any organization for maximum value creation and stimulating buyer-supplier collaboration. This process involves assessing critical factors mentioned in a contract like pricing structure, scope of work, terms and conditions, timelines of delivery, etc. 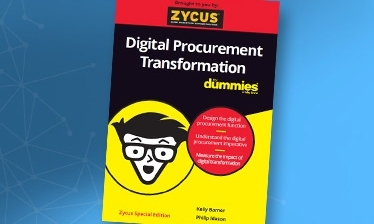 Detailed analysis and negotiation of contracts also gives insights into more cost savings opportunities such as dynamic discounting which in turn helps procurement to contribute to an organization’s bottom line. After the contract is finalized between an organization and its supplier, the next step is to raise a purchase requisition, more commonly known as PRs, and release of purchase order, i.e. POs, for the supplier. PRs act as internal approvals for procuring any good/service from external suppliers and generally include information regarding the description of the good/service to be procured, pricing and quantity, supplier information and the approval workflow. Once the PRs go through the entire approval workflow, the finance team releases the PO to the supplier that documents information like the PO number, payment terms, supplier information, etc. Once the supplier receives a PO, an invoice listing all requested goods/services along with corresponding pricing is sent to the organization. Then the POs and invoices are matched by the procurement team to ensure they have received the quality and quantity (includes best pricing) as requested. Depending on the payment terms established between the organization and its suppliers, the payment is released pre- or post-delivery. Based on payment and contractual terms, the supplier delivers the goods/services. It is necessary for organizations to audit the delivery upon its arrival to ensure the suppliers have met quality expectations. After receiving the delivery, as a best practice, it is important to effectively store all invoices in order to track spend and the various expenditure categories within the organization. Procurement has started its journey towards becoming a long-term strategic function of an organization in contrast to its tactical past. Hence, the objective of this article has been to help organizations design a well-structured and effective procurement process. While organizations have diverse procurement needs and various procurement processes in place, the steps highlighted in this article can be customized to an organization’s specific requirements.